Deluxe 30’s Soft style yarns. 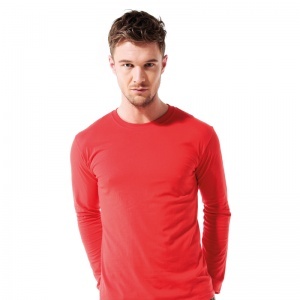 Seamless twin needle ¾” collar. Taped neck and shoulders. Rolled forward shoulders for better fit. Hemmed sleeves. Twin needle sleeves and bottom hems.